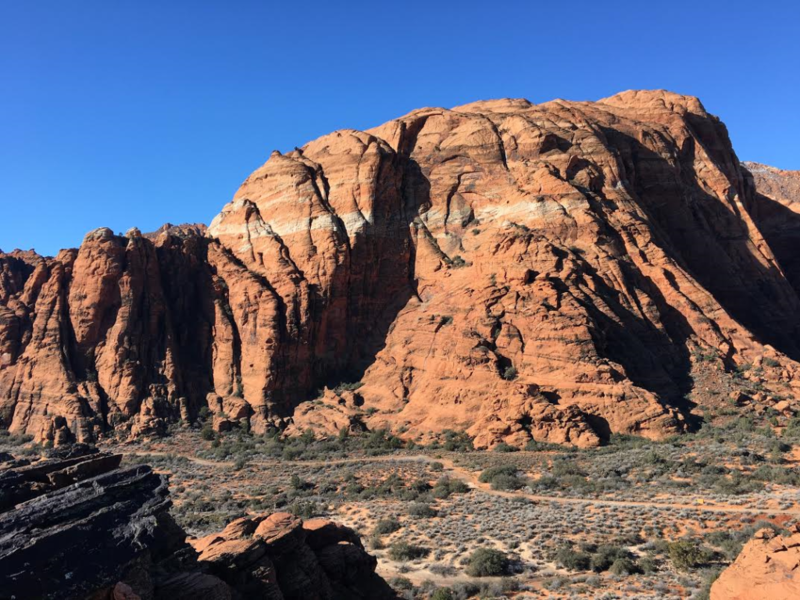 IVINS — The Utah State Park system is celebrating its 60th anniversary this year, and to celebrate, Snow Canyon State Park has launched a hiking challenge. The “60 Miles for 60 Years Challenge” offers guests the opportunity to explore the many miles of amazing trails found within the park. The challenge began Monday and continues through Nov. 11. Hikers who take on the challenge can track their mileage with a log available at the park headquarters and bookstore found at the entrance to the campground. Logs are also available to download online. Guests who complete the challenge will receive a commemorative pin and have their picture taken and displayed on the park’s 60 Miles for 60 Years Wall of Fame. Ranger guided hikes are offered free to the public, but reservations are required. Reservations can be made by calling 435-628-2255. A winter stroll at night, taking in views of the “winter circle,” which is described as a bright pattern of stars adorning the chilly sky. A 2 mile round trip hike exploring the unique formations made by lava. A 2 mile round trip hike by moonlight. 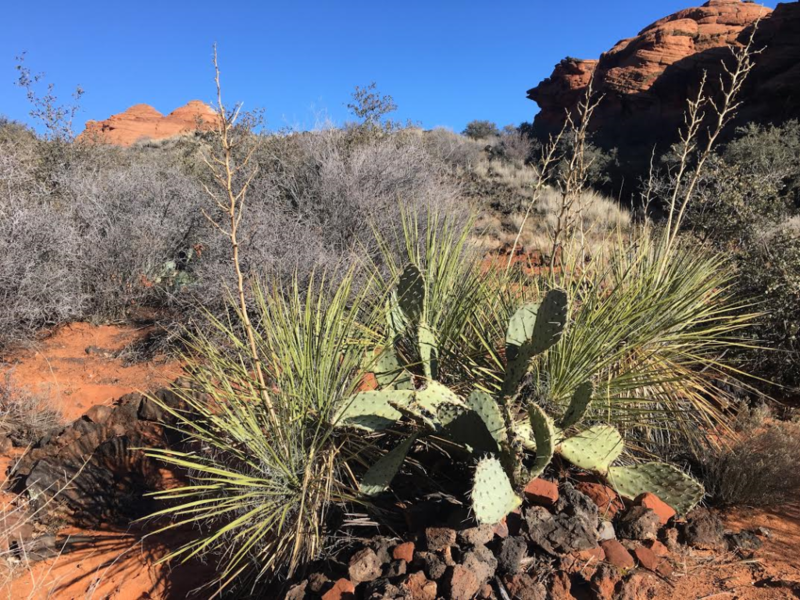 The Hidden Pinyon Trail is a 1.5 mile long nature trail that winds through slick rock canyons and traverses both slick rock and lava rock. It is a relatively mild, family-friendly trail with big payoffs. 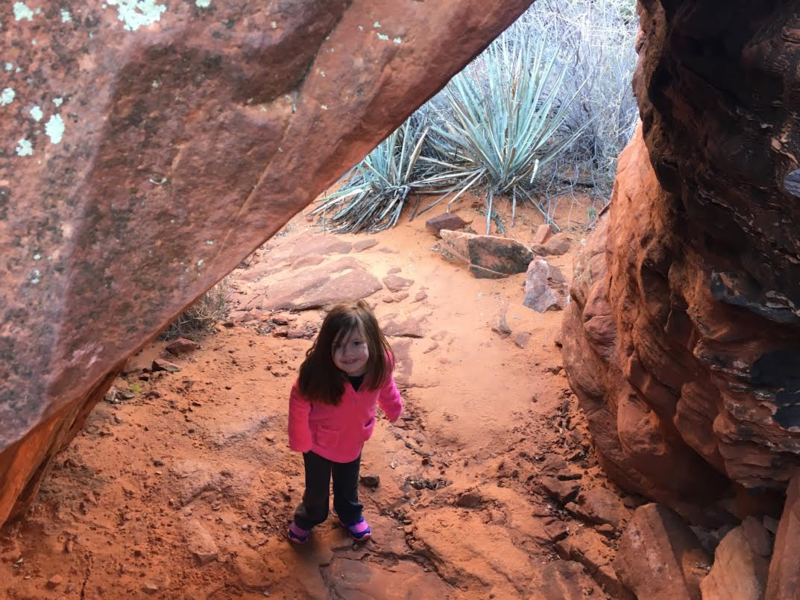 Children will delight in narrow sandstone passageways and natural stairways made of rock as they walk along the trail. 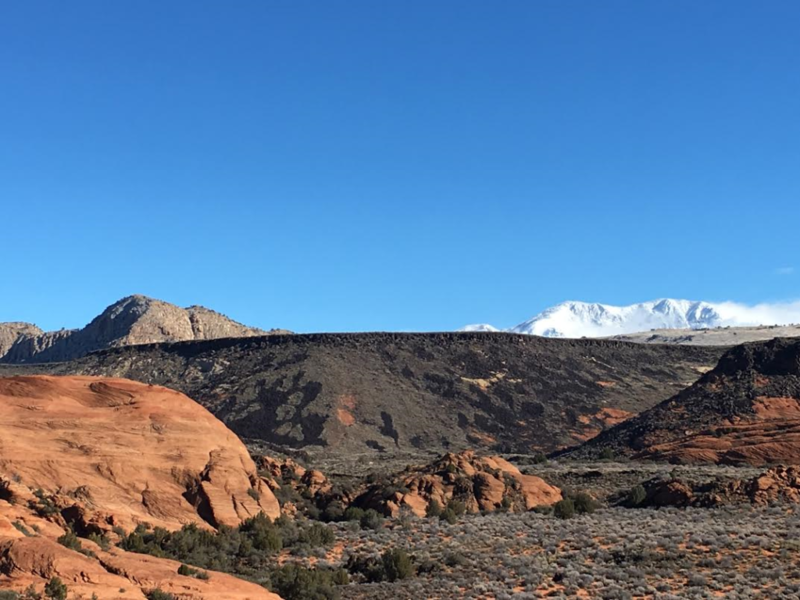 Adults and children alike will enjoy sweeping views of Snow Canyon State Park as they look north toward the Petrified Dunes. Hidden Pinyon Trail connects with the Red Sands (formerly Three Ponds) Trail. This connection offers a few varieties in the way hikers can take the trail. 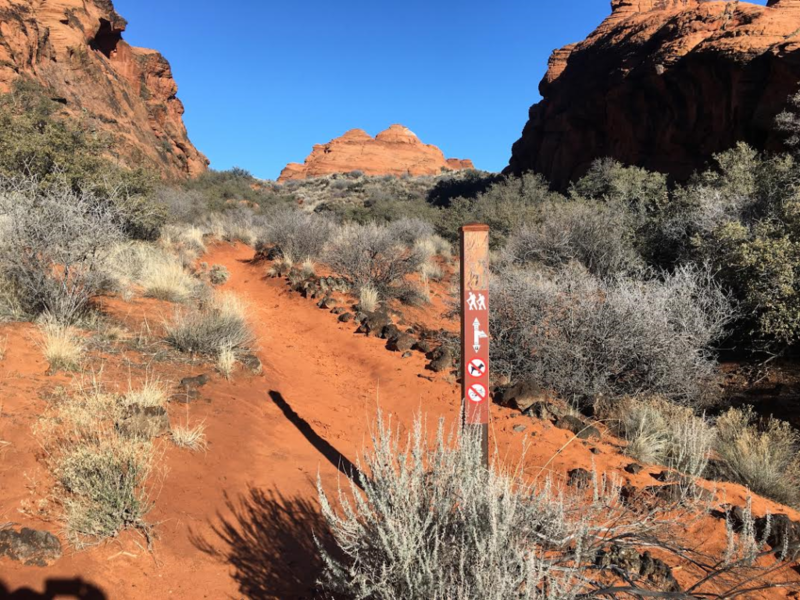 Hikers also have the option of using a portion of the paved Whip Tail Trail to access the dirt trail or to go directly to the dirt trail from the Hidden Pinyon parking lot. Hikers can add to the Hidden Pinyon Trail by continuing on to a lookout point which looks over West Canyon. The overlook offers guests an up close look at some of the park’s most quintessential geological features including natural sandstone arches and the park’s famed Moqui Marbles — sandstone spheres cemented by a patina of iron oxide minerals. Erosion from wind and water causes the softer sandstone to break loose from the rock creating the marbles. While the trail is fairly mild in difficulty, hikers should use caution as there are several sections of loose rock on the trail. 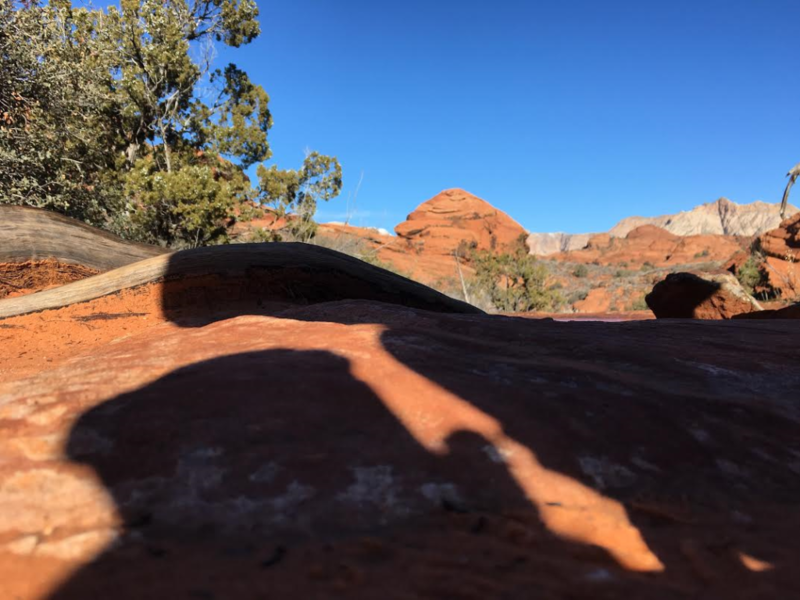 Hikers who continue to the overlook should be careful on exposed edges and be aware that sandstone can often be soft and unpredictable. Guests should also carry plenty of water even during colder winter months. A road construction project in the park is currently ongoing. Construction crews are widening the road through the park from the Upper Galoot parking lot to the intersection with state Route 18. Additionally the entire road through the park is being resurfaced. Construction is expected to end Jan. 31. A complete schedule of road closures and possible delays can be found here. For more information contact park headquarters at 435-628-2255.